Let’s role-play for a bit. Say you are about to ask your girlfriend to marry you. What type of engagement ring do you buy? Is it one that costs a lot of money and has one flaw that everyone will overlook just because of its size? Or, do you get one that will initially look the part and is really cheap but fade out because it comes from a foreign land and has internal, structural issues? Maybe you pay a big price but have the assurance that you are getting an all-around rock that will keep your lady happy for the rest of your days? I don’t know about everyone out there, but that last option sounded pretty good. Each one of those questions could symbolize three polarizing figures in Major League Baseball. The first symbol is Miguel Cabrera of the Detroit Tigers. Cabrera could go down as one of the game’s best hitters of all time. The two-time American League MVP is hitting .291 this season and leads his team with 29 RBI. However, his one flaw is defense. Despite not having an etched-in-stone position, Cabrera owns a -109.4 UZR/150 (Ultimate Zone Rating per 150 games). This means that he is on pace to allow 109 runs throughout the season just from his lack of defensive ability. Cabrera is even known to avoid making a tough play every now and then. Everyone overlooks this analytic due to the fact that he can set the world on fire with his hitting prowess and he is the last person to hit for the Triple Crown since 1967. The second symbol in this dilemma is Yasiel Puig. The enigmatic Cuban right fielder signed for a reasonable price of $42 million over seven years, but has shown on the field that the Los Angeles Dodgers got him for quite a bargain. 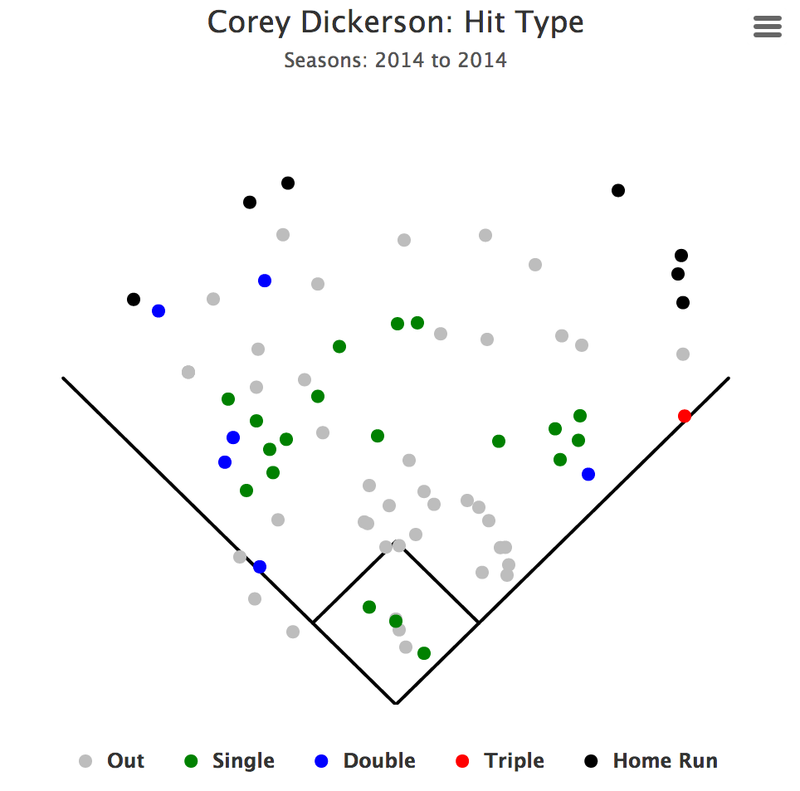 The runner-up for 2013 NL Rookie of the Year is having another good season, hitting .318 with six home runs and 25 RBI. What has gotten Puig in trouble is his reputation that he has mustered in his short stint in the United States. Whether he hits a walk-off home run or gets charged for reckless driving, one thing is for certain: you can always find a story about him. Finally, it’s time we take a look at that glamorous third option. This rock is currently a Rockie (see what I did there?). 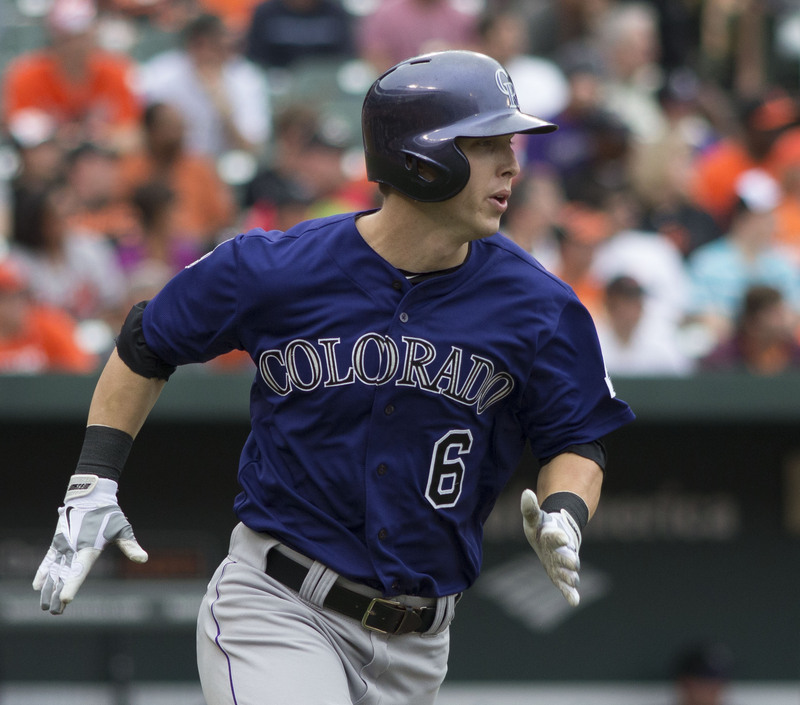 His name is Troy Tulowitzki and he is the most dominant shortstop in baseball. Tulowitzki is leading the major leagues in batting average (.395), on-base percentage (.497) and slugging percentage (.766). Not only are those numbers impressive by themselves, but the way he has separated himself from the other candidates is astounding. 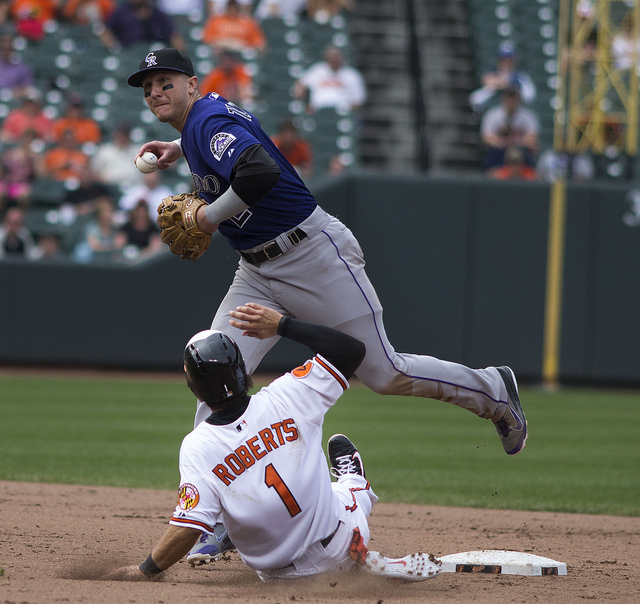 Troy Tulowitzki is showing why he is the best player in MLB this season (Creative Commons/Keith Allison). 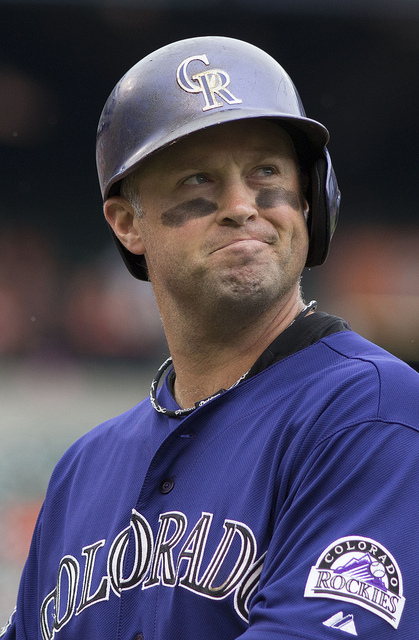 “Tulo” is ahead of teammate Charlie Blackmon by .043 for the batting crown. 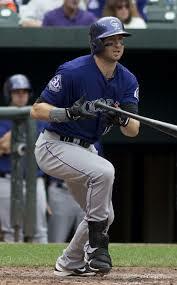 The Rockies phenom leads Shin-Soo Choo of the Texas Rangers by .041 in the on-base percentage lead. As if those two weren’t enough, Tulo is the only hitter to slug over .700 and leads Jose Abreu of the Chicago White Sox by .146. Does playing half of the games at Coors Field help? Of course. However, Tulo has a batting average of .302, an on-base percentage of .361 and a slugging percentage of .613 on the road this season. Although those numbers aren’t gaudy, they do provide credibility to Tulo’s impressive season. Still not sold? Take a look at his fielding. Using the same metric as I did with Cabrera, Tulo holds a 22.2 UZR/150. Using that math, Troy saves 22 runs when he is in the game. That means he is on pace to save 87.2 more runs per season than Cabrera. When it comes to reputation, I challenge you to find an article by a reputable source that shows how Tulo hasn’t been a role model since he was called up in 2006. So, not only is Tulo better on the field than Puig (compare numbers above), but also off it. When someone asks who is the crown jewel of baseball in 2014, one could debate Miguel Cabrera, Yasiel Puig or Troy Tulowitzki. However, maybe there really isn’t a debate after all.